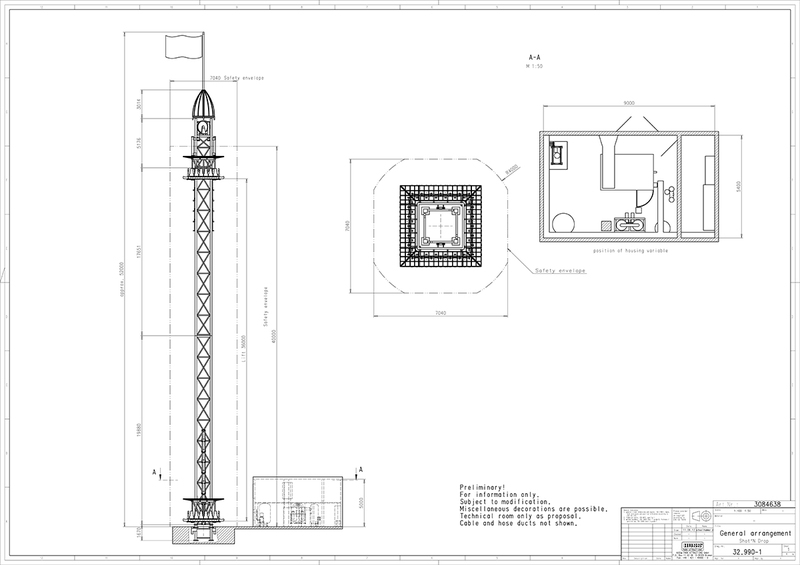 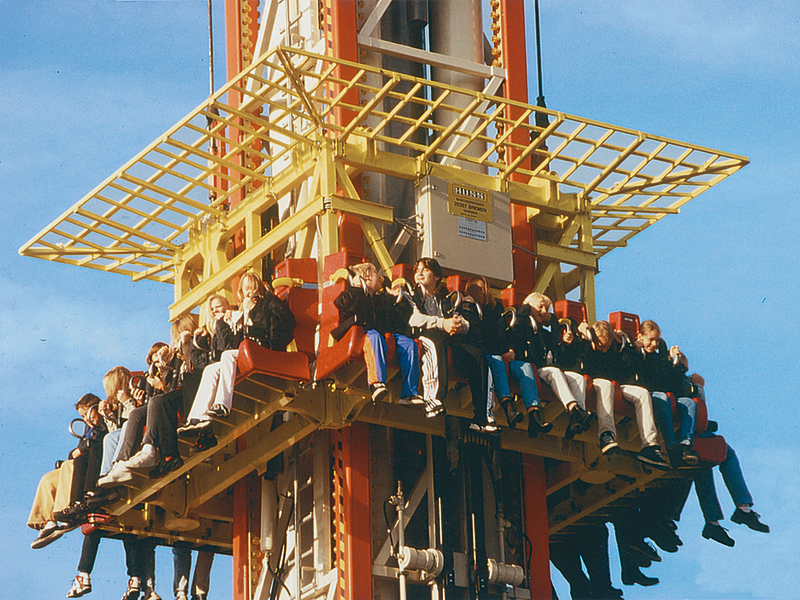 The structure of SHOT’N DROP, based on a footprint of 7m x 7m, consists of a steel lattice mast of 43m in height incorporating a gondola that carries 24 passengers and slides up and down 36m. 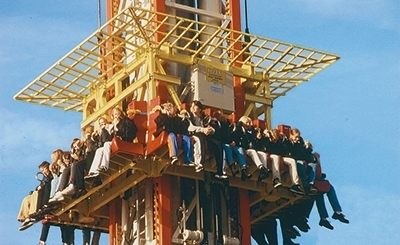 Passengers sit on suspended seats around the circumference looking outwards. 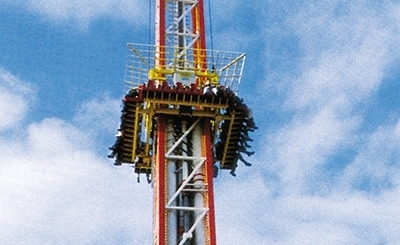 The gondola can be shot upwards at the same speed and acceleration as it descends, it can be driven up and down in any way desired, it can be stopped anywhere and it can bounce smoothly on a cushion of air. 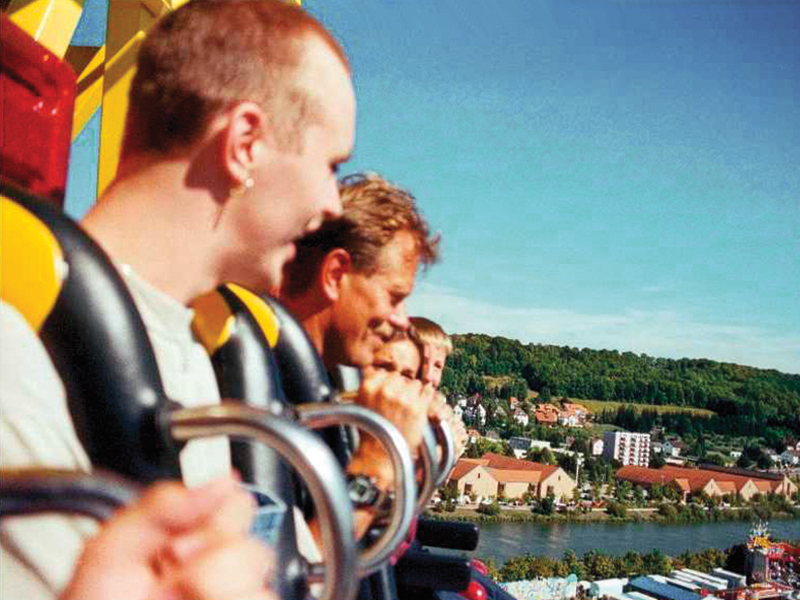 The lift and freefall movement, with an acceleration of up to 3.5g, creates exciting feelings of speed as well as weightlessness. 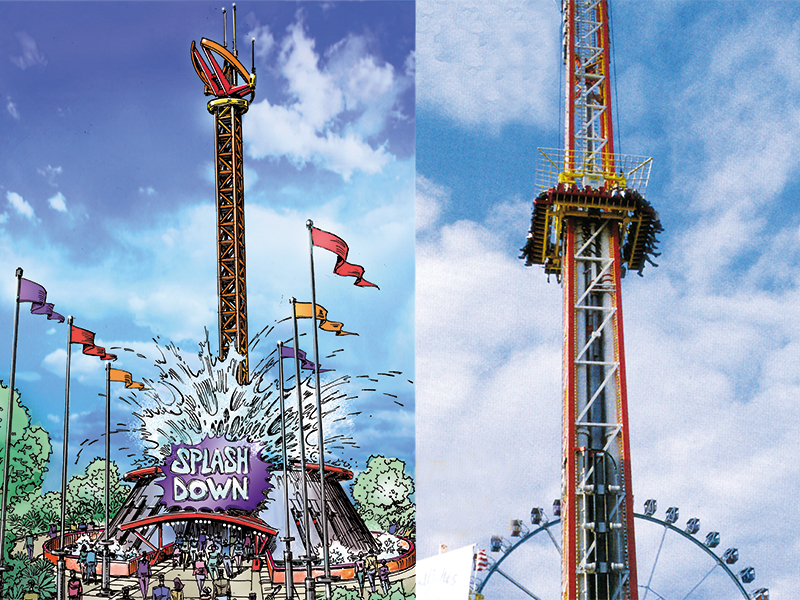 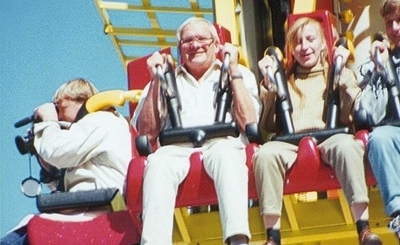 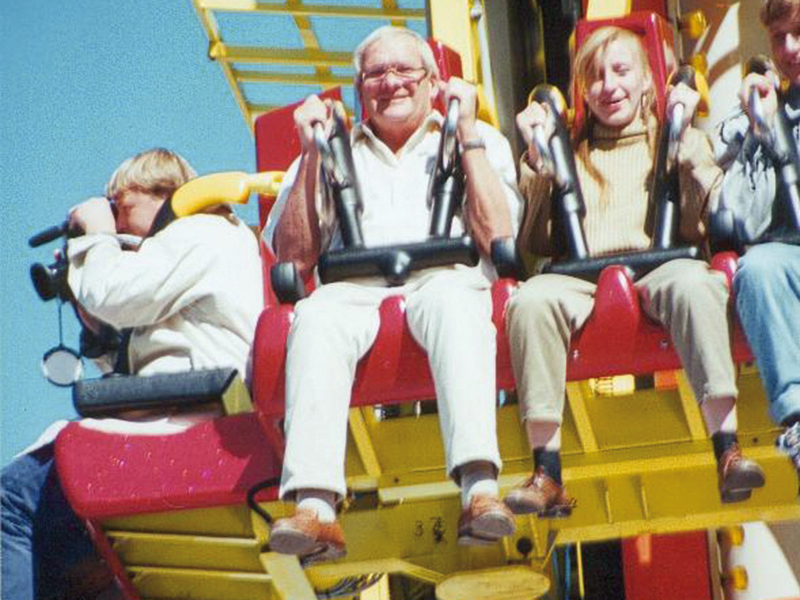 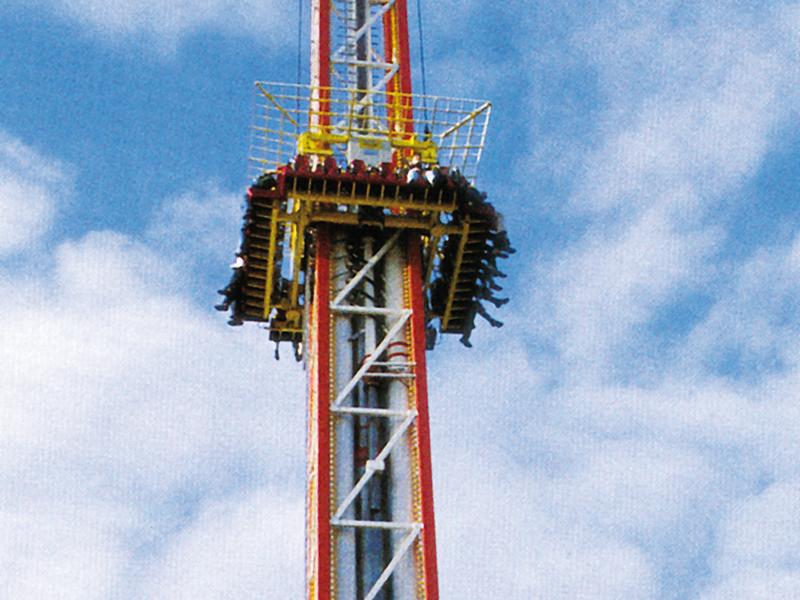 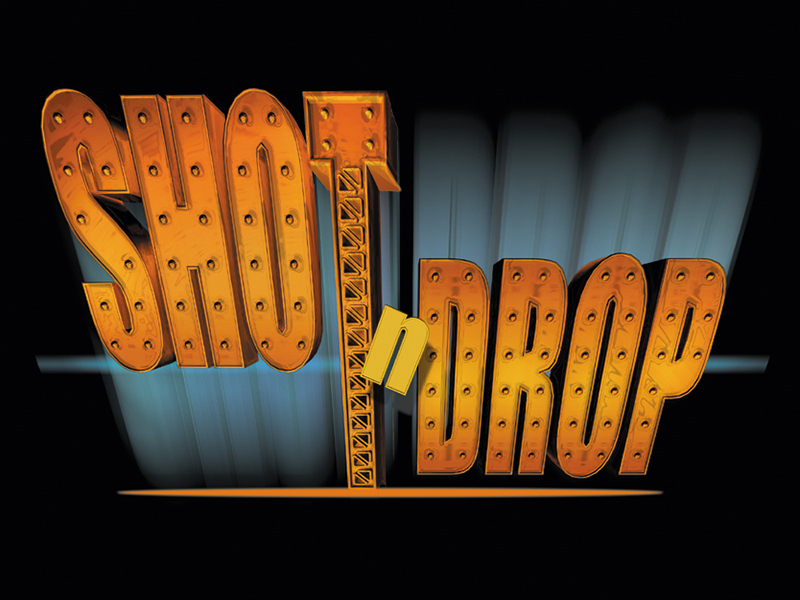 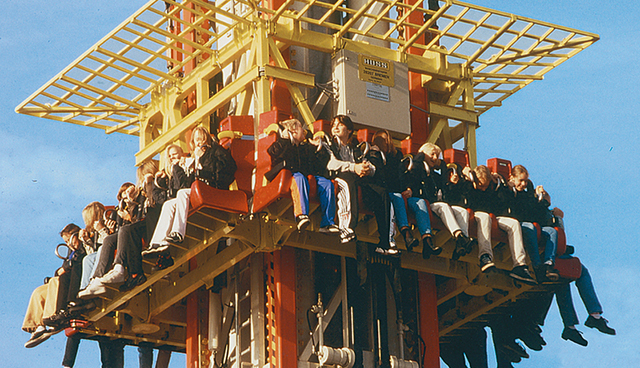 The SHOT’N DROP guarantees maximum thrills within a minimum of space.